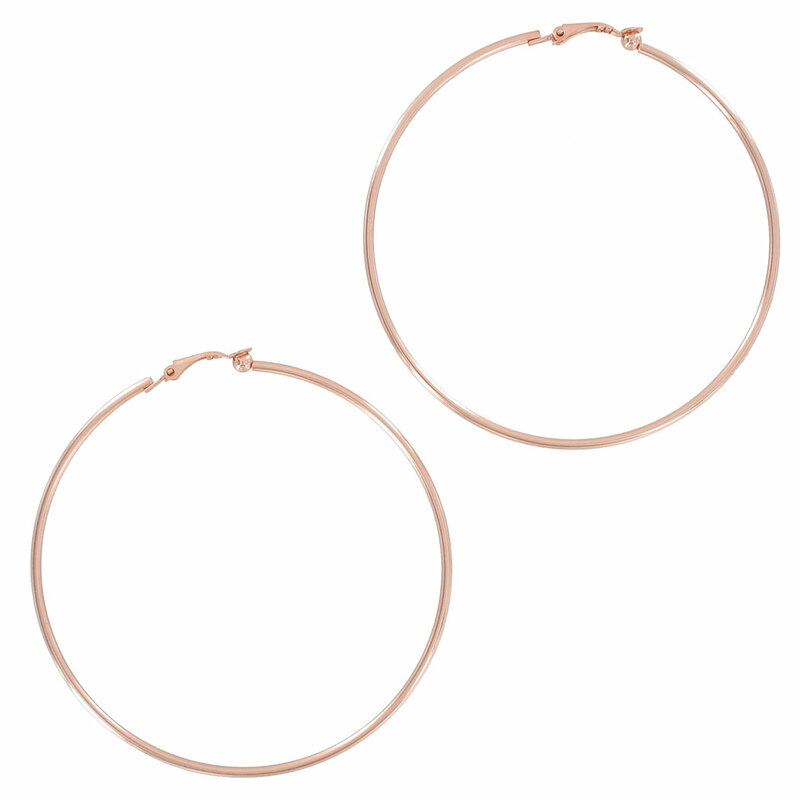 These large rose gold tone hoops are perfect for that classic hoop look and are clip on. 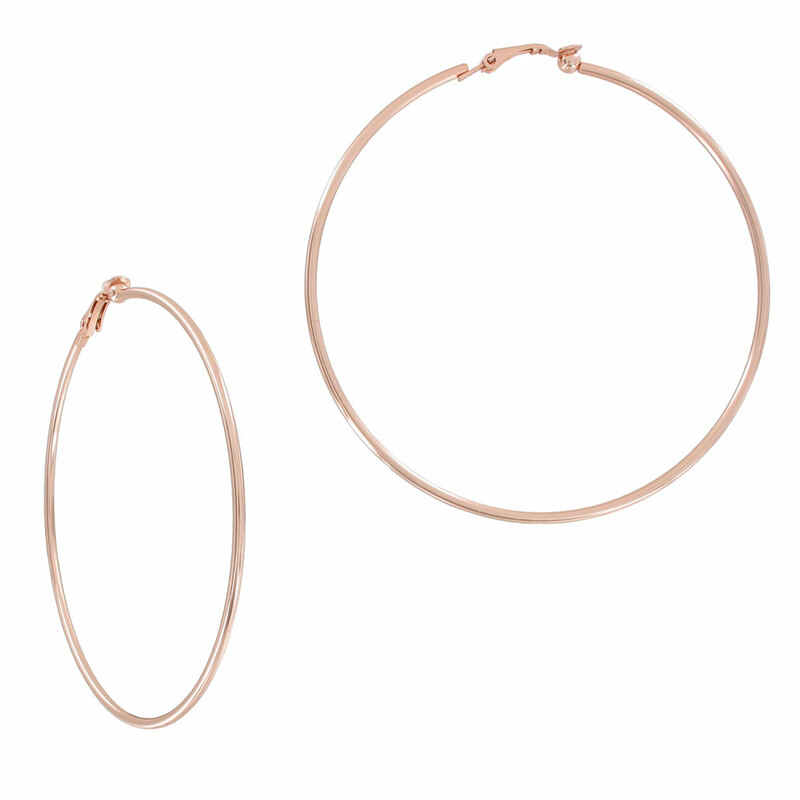 Classic wire hoop clip on earrings in a rose gold tone finish. Large 3" diameter.